“Do you sometimes feel you are being held back and not allowed to operate at full capacity? “As if a cloud is hanging over you, preventing you from achieving your most important goals: including success in your career, in your finances, in your relationships? “Each of us has an aura. 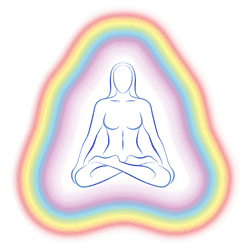 This aura must filter out the bad and the negative if you are to reach your true potential. “So if you feel an extra weight on your shoulders, and everything you try to accomplish is weighed down by negative forces and unseen problems, perhaps it’s time to clean your aura. Do you believe each of us has an aura that can help or hinder you? Do you sometimes feel tired and lack the energy and willpower to accomplish what you set out to do? Are you frustrated because despite your best intentions and hard work, you are not where you want to be in life? If you are not fulfilling your destiny, it could be due to an aura that is not filtering out the bad and the negative. It’s time to change that!